On our annual pilgrimage into the Second Avenue Subway, we once again descend into the “Thunderdome” 200 feet under one of America’s densest neighborhoods. The 2014 International Pillow Fight Day went down in Washington Square Park, NYC this past Saturday. 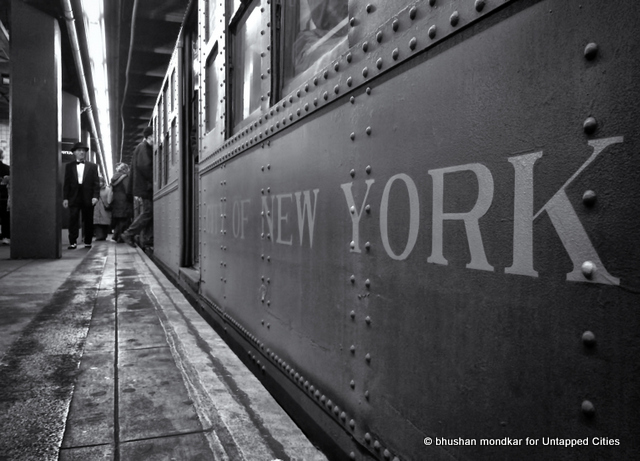 This week we profile Untapped Cities contributor Bhushan Mondkar, an architect who has taken us deep into the bowels of the Second Avenue Subway, for a ride on the holiday vintage train and swing party in NYC, and documented the construction of 4 WTC from start to finish. Using the Second Avenue subway design as a starting point, a recent panel discussed the future of intelligent design and transit in NYC. A new Second Avenue Subway Community Information Center is opened by the MTA to answer questions and satisfy the curiosity of New Yorkers about the long project. Spur: The Third Section of the High Line’s Crown Jewel is A Nest in the Sky! Plans for a nest or bowl in the sky, dubbed Spur, are unveiled for the third and final section of NYC’s famous elevated park, The High Line.